There are 2 posts tagged illusion. In my experience over the last 28 years of education, work, entrepreneurship, social activism and living in Delhi, Jaipur and now Bangalore, I have seen my beliefs change many times. My idea of right and wrong, how to treat people, how to earn money, how to live life have all gone through tremendous changes as I have met different people from all age groups, occupations and different sections of society. Politicians, armymen, social activists, judges, entrepreneurs, economists, software engineers, students, artists, police officers, government employees, senior citizens, foreigners and more – It has been a wonderful experience meeting and interacting with them. Philosophers like Immanual Kant and John Locke, both suggested centuries ago that reality is something we construct for ourselves. I somehow wonder – Is the world we see while awake any different in perception from the world we see (dream) while asleep? Everything is created as an image in our minds, whether our eyes are open or closed. In dreams too, we see and interact with people, we have emotions like anger, love and they appear very real to us until we wake up. 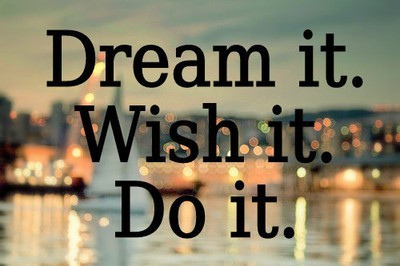 Dreams can make us scared, sweat like we would do with normal emotions, all while asleep. The illusion comes, and many problems of life, when we start believing what we see as the ‘ultimate reality‘ rather than just one frame of reference our mind has decided to show us. Indian philosophers in the past have spoke of this as ‘Maya‘. It says that we deceive ourselves when we think that the objects we see are the objects themselves. Most of our reality is shaped by our senses of vision, sound, touch, smell and taste. And it is scientifically proven that our senses can only comprehend a fraction of the physical realities of light, sound, etc. Furthermore, there are many more realities which we have no way (or senses) to understand and measure like magnetic field and electric charges. Other animals sometimes can detect these in varying quantities, like dogs have a better sense of smell and sound. Another example to highlight that everything we say and believe as truth is only an illusion is the “Earth is a sphere” discovery. In ancient times, it was believed that the earth is flat. It was so much a part of everyone’s reality that ships used to go a certain distance in the ocean and then come back due to the fear of falling off the surface of the earth. Everything we believe and see right now is nothing different from this example. I would even say that the concepts of space and time are totally shaped by our mind, even when it is very ‘real‘ to us with scientific proof. But we can’t hold space and time like we can hold a table or a chair, and so they are more about some concepts we have created rather than an ‘absolute truth’. Now contemporary physics have begun to validate this viewpoint too, though I will need to spend more time researching to make a credible claim on that. As human beings, we are conditioned to see our culture, language, politics, religion as reality, which is only an illusion. This illusion is then passed on from generation to generation. Without even knowing, we spend all our lives driven by this ‘reality’. It takes real courage to question and challenge these beliefs and assumptions and bring in a more mature perspective on how to lead our lives. 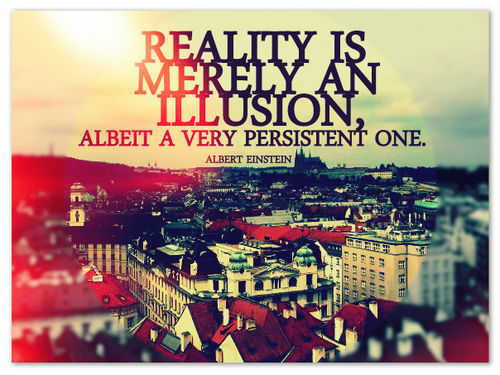 I will end with this powerful quote around the same question I started with – What is Reality?